Almas comes to SAALT as an experienced grassroots organizer and capacity builder. 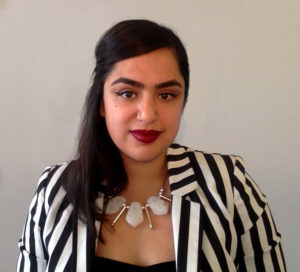 Her diverse portfolio includes tenures with collectives, non-profits, and the federal government, namely, the South Asian Network (SAN), the U.S. Department of State in their Education and Cultural Affairs Bureau, Satrang (Los Angeles, CA) and Khush D.C. (Washington, D.C.) Additionally, she has also served on the steering committee of API Equality-LA and the board of National Queer Asian Pacific Islander Alliance (NQAPIA). Almas most recently served as the Racial Justice and Equity Committee Chair for NQAPIA.